SYC is led by a Board and Executive team of talented, experienced and passionate individuals. FinAdmin, M. MGMTECO, MS. NATSECS, DUniv Flin, Hon. Litt.D UNE. Rear Admiral the Honourable Kevin Scarce AC CSC RAN (Rtd), born in Adelaide and educated at Elizabeth East Primary School and Elizabeth High School. He was the 34th Governor of South Australia from 2007 to 2014. He served in the Royal Australian Navy from 1968, retiring in 2004. His appointments included service on HMAS Sydney during the Vietnam War, postings in Washington and London, Commanding Officer of HMAS Cerberus and Flag appointments as Naval Training and Naval Support Commander. Kevin also specialised in military logistics and procurement, rising to the rank of Rear Admiral and Head of Maritime Systems at the Defence Materiel Organisation. After retirement, as Head of the South Australian Defence Unit, he led a government team that contributed to ASC winning the contract to build air warfare destroyers for the Australian Defence Force. Kevin was awarded the Conspicuous Service Cross in 1994, the Knight of Grace in the Venerable Order of Saint John in 2007 and a Companion of the Order of Australia in 2008. Kevin completed a Bachelor of Financial Administration from New England, Masters of Management Economics at the University of New South Wales (Australian Defence Force Academy campus), and a Masters Degree in National Security Strategy at the US War College (National Defense University) in Washington, DC. He was awarded an Honorary Doctorate from Flinders University in 2009 for distinguished service to the public of South Australia and an Honorary Doctor of Letters (honoris causa) from the University of New England in 2014. 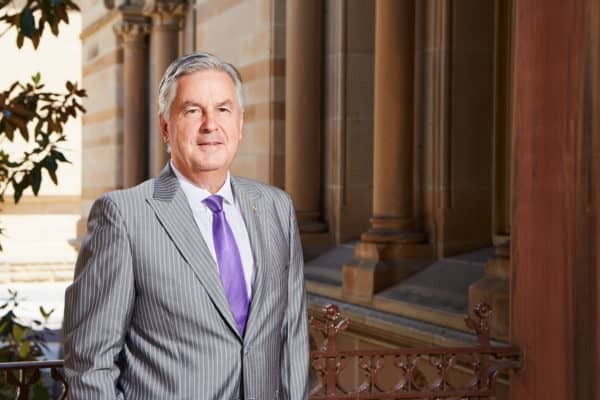 In addition to his role as 16th Chancellor of the University of Adelaide, Kevin was recently appointed Chair of Cancer Council SA and President of Novita Children’s Services. 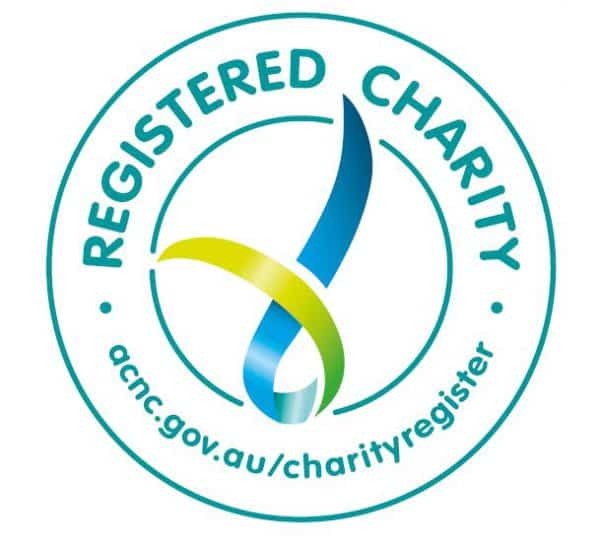 He is a Director of a number of public and private companies, a Governor of the Coopers Foundation and joint Patron, with his wife Liz, of Anglicare SA. Kevin was appointed on 29th March 2015, as the Commissioner of the Nuclear Fuel Cycle Royal Commission. Kevin was Patron for SYC throughout his tenure as Governor of South Australia (2007-2014), a role that ended when his tenure as Governor ended. In September 2015, he agreed to join us again as Patron and returned to the role on November 1, 2015. 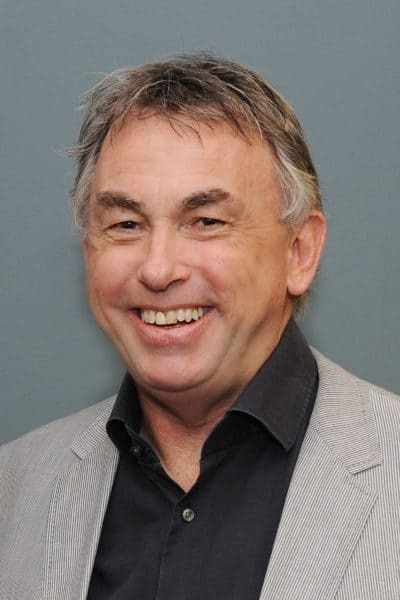 Joining the SYC Board as a Member in 2006, David Hallett has been Chair of SYC since 2010, during the period of its substantial and sustainable growth of revenue and scope across Australia. With wide ranging commercial experience gained in Australia and internationally, David applies his considerable expertise in management, governance, marketing and property development to his role as Chair of SYC. David is a member of the Finance, Audit & Risk and Governance Committees, as well as Growth & Assets Committee. As a professional Company Director, he divides his time between management of various business interests, business coaching, mentoring and consulting to SMEs, and managing real estate investments. David is Executive Director of Hallett & Co Pty Ltd, Hallett Consulting, Halland Investments Pty Ltd and is Principal Consultant to Halation Agency Pty Ltd.
His community leadership activities include roles as Chairperson of the Advisory Committee of Prince Alfred College, Trustee of the Prince Alfred College Foundation and a Benefactor of the Art Gallery of South Australia Foundation. He is a former Chairperson of the Seymour College Foundation. David resides in Adelaide, South Australia. Arabella Branson has practised as a lawyer in the area of commercial transactional and advisory law since 2000. For nine years she practised in a specialist South Australian corporate and commercial law firm, including more than two years as partner. She has now established her own commercial advisory practice. A member of the Law Society of South Australia, Arabella has been on our board since 2007 and resides in South Australia. She is a member of the Finance, Audit & Risk and Fundraising Committees. B.E. Civil (Hons), Grad. Dip. Municipal Eng, Dip. Mgmt, MAICD. 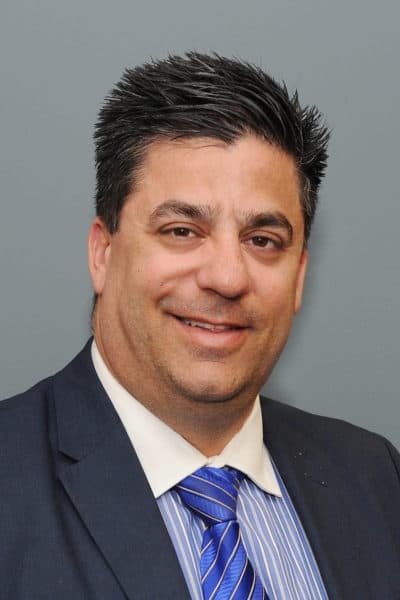 Paul Di Iulio has extensive experience in executive management and leadership roles, gained through a career in local government. 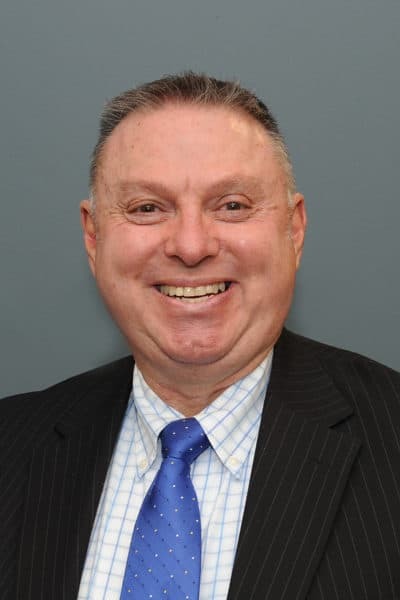 With a background in civil engineering, he has worked with the Campbelltown City Council for 24 years where he is presently Chief Executive Officer. Paul has been a board member since March 2011 and is a member of the Growth & Assets, Digital Transformation and Governance Committees. He resides in Adelaide, South Australia. Patrick Tapper has been a board member since January 2011 and is a member of the Finance, Audit & Risk Committee, as well as Chairperson of the Digital Transformation Committee. 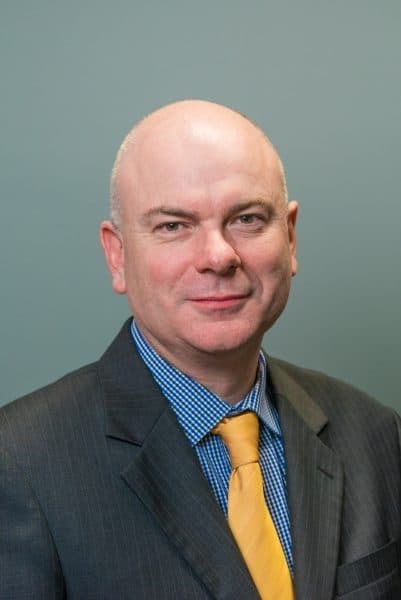 Patrick has had over 25 years experience in the telecommunications, technology, media, and entertainment industries, most notably as Executive Director and Chief Executive Officer of national broadband company, Internode. Patrick currently serves as a Non-Executive Director of ASX-listed company, Silver Chef Limited, which provides flexible equipment funding and rental solutions to small and medium sized businesses in Australia, New Zealand, and Canada. 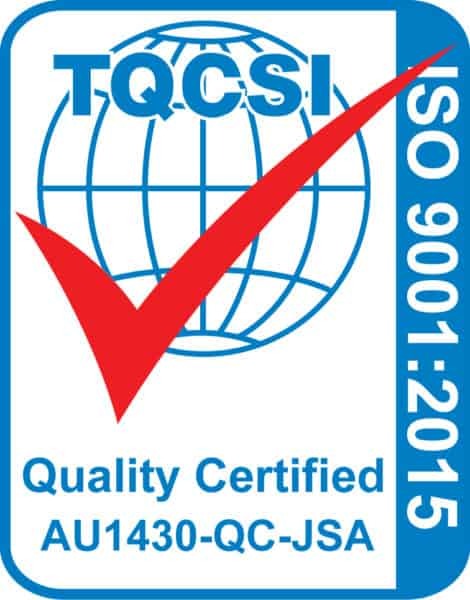 Patrick is also Chair of Acurus Pty Ltd, a leading Australian IT consulting and solutions provider based in Melbourne. Patrick is a former Governor of the American Chamber of Commerce (Amcham) in South Australia, and a former Chairperson at Executive Boards Australia, which provides advisory board facilitation, leadership, HR and Marketing services. Patrick is a Fellow of the Australian Institute of Company Directors and resides in the Gold Coast, Queensland. Catherine Schultz joined our board in March 2012 as an accomplished Chief Executive Officer with 30 years’ experience in the services industry and over 15 years’ working at the Executive, CEO and Board level. 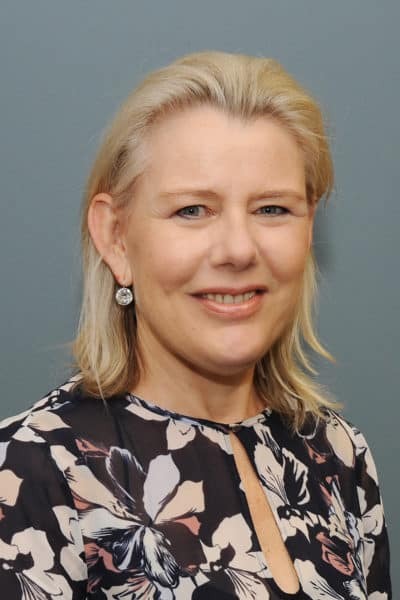 She currently runs her own Management Consultancy business, Catherine Schultz Consulting, is Chairperson of the Adelaide Cemeteries Authority (ACA) Board and a Director of the State Procurement Board (SPB). She was previously GM/CEO of Wallmans Lawyers (2001-2011), where she doubled revenue and increased Net Profit Margin. Catherine brings significant financial, human resources and general management know-how to our board. 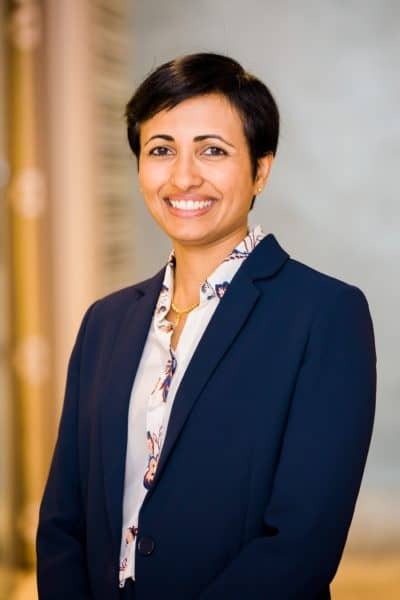 She has been involved in significant change and project management and is an experienced auditor and advisor on risk, governance and compliance. Catherine is Chairperson of the Finance, Audit & Risk and Growth & Assets Committees and a member of the Digital Transformation Committee. Catherine resides in Adelaide, South Australia. Lisa George is the Global Head of the Macquarie Group Foundation. The Foundation is Macquarie Group’s philanthropic arm and is one of the largest corporate benefactors in Australia. Lisa is responsible for the strategic and operational activities of the Foundation globally. Prior to this role she worked for Social Ventures Australia in the consulting arm providing strategic support to not-for-profit organisations. In 2015, Lisa was appointed to the NSW Premier’s Council on Homelessness, an advisory body to the NSW government. Lisa also Chairs the Harvard Club of Australia Non-profit Fellowship, which awards two scholarships annually to Australian non-profit CEO’s to study at Harvard Business School. She previously served on the Board of YWCA NSW and as Co-President & Councillor of the Harvard Club of Australia. She has also worked in the not-for-profit and political arenas in the US and holds a Master of Public Policy from Harvard University. Lisa resides in Sydney, New South Wales. Paul joined SYC in 2002 as General Manager, Training, bringing with him a wealth of commercial business experience in operations and consulting. 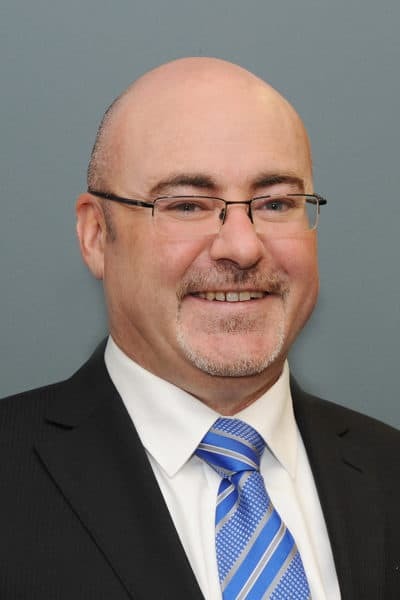 He was appointed as Chief Executive Officer in 2004 with a bold vision to grow SYC and transform it from a small community based, South Australian centric, youth services organisation to a market leading innovator and provider of human services, operating nationally and working with people of all ages. He has lead SYC through significant periods of change to see that vision become a reality. Paul is a passionate and highly driven leader who is deeply committed to the people SYC supports through its diverse and inclusive portfolio of services. He has a sharp intellect, is a keen observer and has a great love for study, having travelled widely for study purposes, including to Europe and the United States, to learn from global leaders and academics. He mentors business leaders and is regularly sought after by government executives for his insights, strategic viewpoints and for his visionary perspectives. Paul is an ex-officio member of all board committees. As Director of Finance, Simon Matthews is responsible for all facets of our financial management, property portfolio and facilities management. He has a particular focus on transparent reporting and building on our success to create funding for future growth and opportunities. He first joined SYC in 2006 as Financial Manager, quickly progressing to Chief Financial Officer in 2008, a position he held for four years before leaving SYC in 2012. He then re-joined SYC as Director of Finance in July 2015. 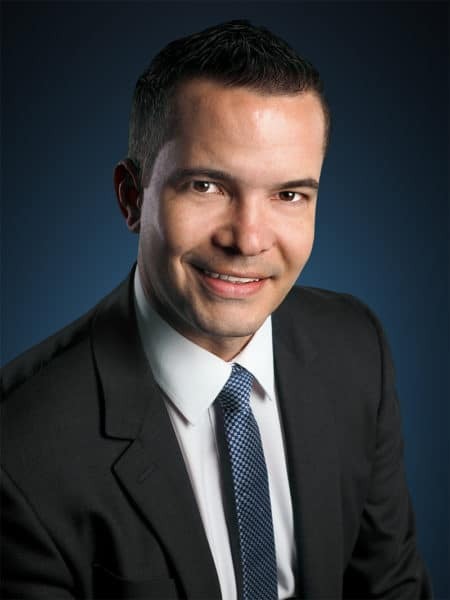 SImon brings diverse experience and is well credentialed at delivering strategic financial advice and management, having started his career in accounting firms before changing to commercial finance roles in various industries. Since his commencement with us in 2006 he has filled senior financial management roles in the not for profit sector, adding further dimension to his financial experience and expertise. Simon holds a Bachelor of Commerce from the University of SA and is a Fellow Certified Practising Accountant. Liz is driven by a passion for empowering young people to stand on their own two feet. As the Director for Young People and Practice, Liz leads SYC’s thinking behind the ways in which we engage with young people. She ensures a balance between innovation and integrity to put evidence-based interventions into practice. Liz holds strong to the importance of creatively engaging young people and enabling them to transition through interdependence with service support into becoming thriving, independent young Australians. As Director of Learning, Home and Justice, Liz is the strategic and operational lead for the services provided in these portfolios. Liz joined SYC as a graduate in 2005 and has held roles that have encompassed many facets of SYC’s operations. She has worked from frontline service delivery to program management, on to Senior Management. Then in 2015, Liz joined the SYC Executive Team as the General Manager of the HYPA Division. Liz brings a wealth of experience in service development, and an authentic understanding of best-practice in supporting young people. Within her top character strengths you find humour, hope, zest and curiosity. Liz is naturally energetic, relishes continued learning, and works with a positive future vision. 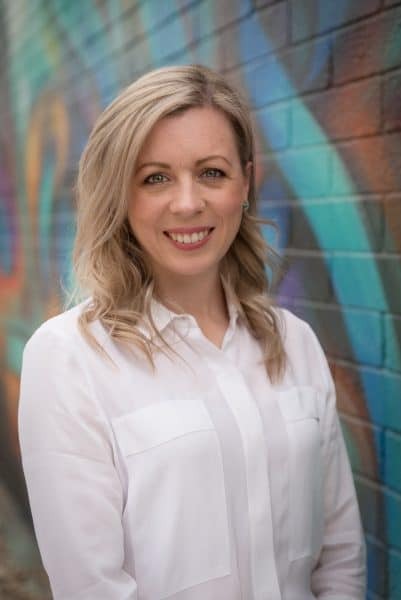 Liz has completed formal study in the social sciences – primarily psychology and social research – is a Graduate of Adelaide University and the Australian Institute of Company Directors, and is continually engaged in professional development focussed on Adaptive Leadership. Janice Hoad brings to her role as Director of Corporate Development considerable corporate experience, gained in Australia, Europe and the United Kingdom, where she has had leadership roles in Human Resources, Communications & Marketing, Change Management and Business Strategy, while consulting across many commercial sectors. 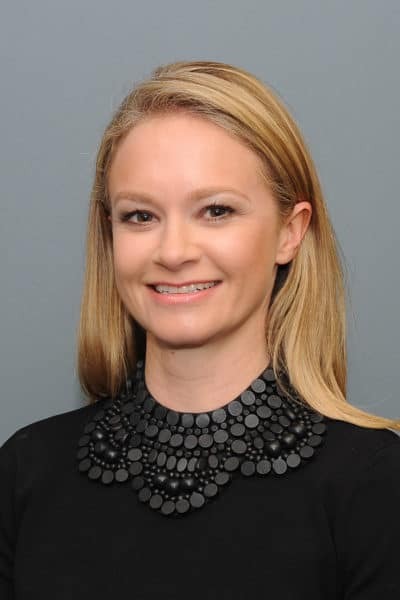 She was heavily involved in the European and Australian automotive sectors (Volvo and Mitsubishi), and in the Australian agri-political, FMCG and banking sectors prior to joining the SYC Corporate Communications team in 2012, her first venture into the not-for-profit sector. 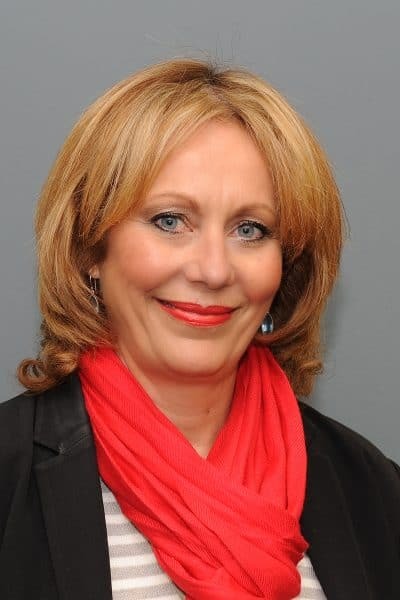 Janice was appointed to the SYC Executive team in 2016 as Director of HYPA, SYC’s youth services division, for a period of 18 months, after which she was appointed to the newly created Executive role of Director of Communications and Marketing in 2018, and then to the expanded role of Director of Corporate Development in 2019. As Director of Corporate Development, Janice has responsibility for the Communications & Marketing, Development, Evaluation and Analysis and Strategic Partnerships functions within SYC. This includes remit for internal and external communications, government relations, fundraising, impact and outcomes analysis and reporting, business development and strategy and planning. Mark is an acclaimed executive and company director with a passion for developing the skills, culture and effectiveness of individual people and organisations as a whole. He joined SYC in August 2018 as the Director of Work. He most recently lead a large national commercial cleaning and facility services business for 17 years. As CEO, Mark grew that organisation from an Adelaide based business of 80 staff in 2001 to a large corporate group with over 2,000 personnel, servicing more than 1,500 clients nationally by 2018 and reached the top 50 business’ on the SA Business Index. Mark’s vast experience exhibits through his motivational people management practises, advanced human resources knowledge, strong financial performance management skills and disciplines. He has an eye and passion for innovation, expressed in his unique ability to design, develop and implement fit- for-purpose business systems including through implementing and integrating technological solutions. His change management skills are a clear standout, as is his successes and experience in sales, marketing and tendering processes. Mark is a Graduate of the AICD Company Directors Course.